The people of the state share their cultural heritage with Bangladesh. Different traditions of the state are based on the Bengali folklore, Hindu epics and Puranas. Rabindranath Tagore became the key figure of the culture of Bengali in the early 20th century. His influence is still there in West Bengal even today. The movies were the integral part of the culture of the Bengalis in the early 20th century. The movies there reached a new height with the arrival of the legends like Satyajit Ray and others. West Bengal is known for its handlooms, textiles, the silk sarees of Murshidabad and Baluchari, etc. Cane and bamboo work are also famous in the state. Various kinds of leather items, clay toys, masks are made in the state of West Bengal. Chhau and Rabindra Nrithya are some of the famous dances in the region. 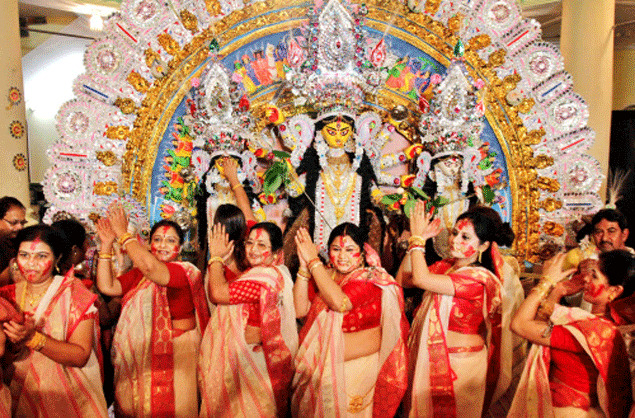 Durga Puja is one festival which is celebrated grandly in the region. Diwali is also celebrated grandly in the state. Other festival like Id-Ul-Fitr, Sivaratri, Lakshmi puja are also part of the culture of West Bengal. The traditional way of serving food is on the floor, where individual pieces of carpet, called asans, are spread for each person to sit on. In front of this seat is placed a large platter made of bell metal/steel or on a large piece of fresh cut banana leaf. The marriage is conducted only in the evening, in the presence of a priest, at the house of normally the bride. 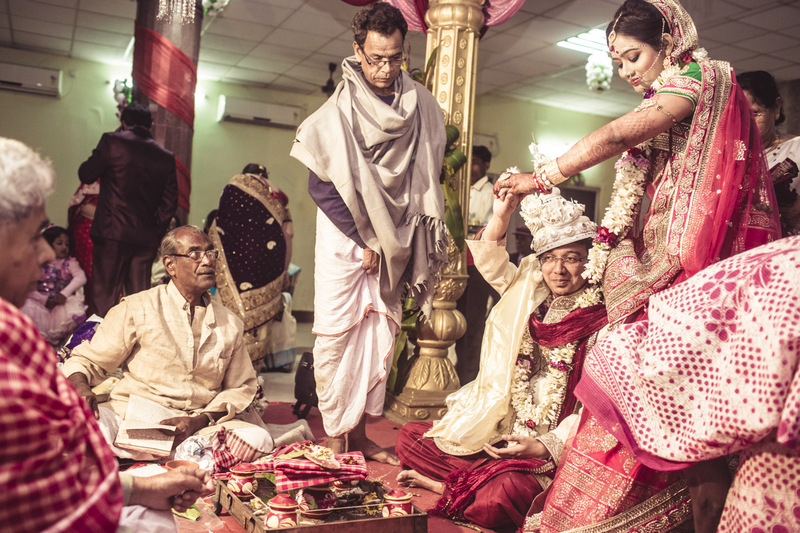 On the wedding day, the ceremonies, ‘Dodhi Mangal’ and ‘Gaaye halud’ (turmeric bath) will be held in both the houses on the wedding day, very early in the morning, before sunrise. The place where the wedding takes place is fully decorated with attractive patterns(alpona) made out of rice paste with water. 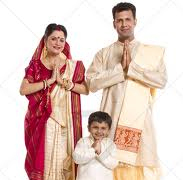 In the urban areas, men wear shirt and pant, some wear jeans and T-shirt and women wear sari and half blouse or jeans also after marriage and before marriage girls use top, jeans and tight T-shirt in urban area and also some rural areas. In the rural area (in village) men use shirt, T-shirt and pant or lungi and women use sari and before marriage frock, jeans, top, pant. Girls in West Bengal do not use orna(a thin and long cloth) in urban and rural areas. Some girls use orna but in her neck like a fashion.